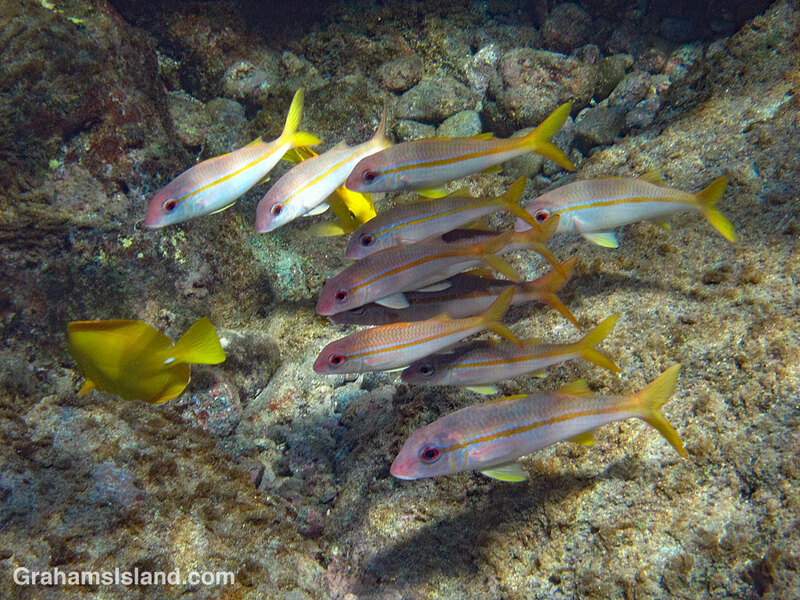 Yellowfin goatfish, like the very similar looking square-spot goatfish, are adherents to the theory that there’s safety in numbers. Younger fish, such as the ones in the photo, tend to meander around in clumps in shallow water. This group are looking suspiciously at a yellow tang.